We spent time today at WOMC 104.3 in Detroit. We had the opportunity to see behind the scenes, learning what it takes to produce a great show. We took lots of samples for the moring show hosts Stephen Clark & JoAnne Purtan to try. We also did a recording for a segment that will be airing in January 2019..
Granny's Confections was a featured product on "Live in the D" on Click on Detroit 4 News. Our brittle makes a great gift for all occasions. Check out the video. Granny's Confections can now be found in at Kneading Something Sweet in Stockbridge Michigan. 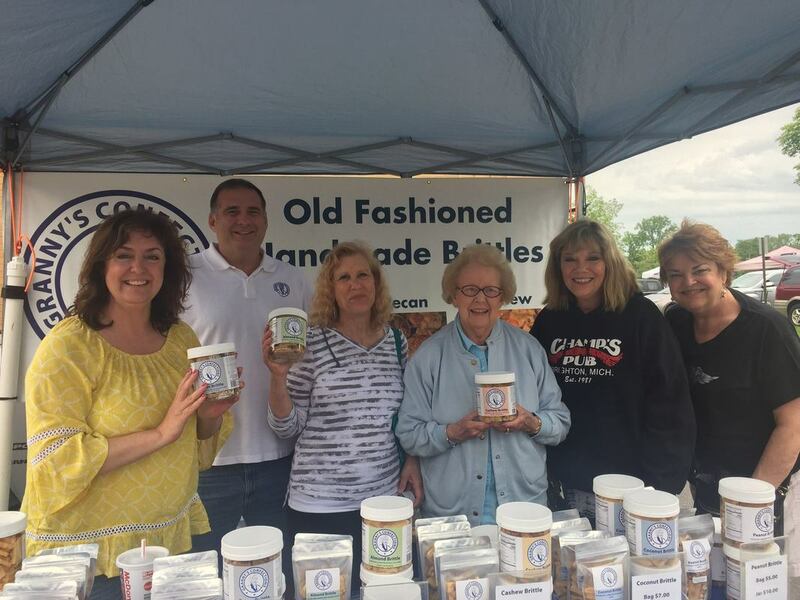 Stop by and grab some of our famous handmade brittle. Kneading Something Sweet carries our 6oz bags of peanut brittle, almond brittle, cashew brittle, pecan brittle and coconut brittle. Brighton Chamber of Commerce dropped by the Brighton Farmers Market to say hello and show their support for us. It was a great visit. Thanks to all the Chamber Members. Granny's Confections would like to welcome "The Mason Jar" to our family. You can find our handmade brittle at their new location in Grand Rapids Michigan. Stop by and grab your favorites. Granny's Confections was featured on Fox 2 Detroit as part of the Buy Michigan Now 10th Anniversary. News Anchor Jay Tower tried our famous peanut brittle and could not believe how good it was. Check out the video and see for yourself. And yes, it really is that good! You can now pick up your favorite brittle in Santa Fe New Mexico at Santa Fe Sweets by Stag of New Mexico. We would like to welcome them to the family. 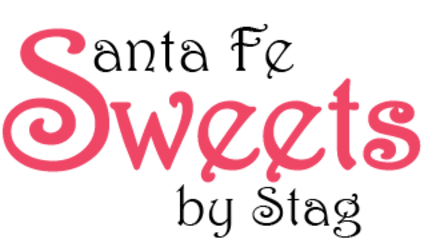 Click below to learn more about Santa Fe Sweets by Stag. In June Country Lane Flower Shop in Howell Michigan is now carrying our six ounce bags of brittle. What perfect way to to make someone feel special..flowers and brittle or a gift basket full of treats. Livingston Daily News reached out and wanted to do a story on our new location. Check it out below. We are almost finished moving into our new location. Our new store will be closed for the month of April so we can ramp up production for our new store. Come in and visit us during our Grand Opening on May 10, 2017. We will have a Ribbon Cutting Ceremony with the Chamber of Commerce. Our new location is 5584 E Grand River Ave, Howell MI 48843. It's Official. We are moving to a bigger location in Howell, MI. We have signed the lease and are beginning construction. We are still cooking and shipping daily from our existing location, so you can still order your brittle online. We are targeting the grand opening in April. As soon as the date is set, we will post an update. To celebrate our One Year Anniversary, we have added a new brittle to our already famous brittle. We would like to introduce our ALMOND Brittle. We have been working on the Almond brittle for a while now, trying to get it just right. We finally have done it. It has an amazing taste. Get some on your next order! It is time for our local Farmers Markets to open. 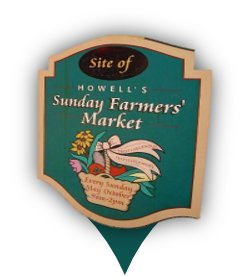 We are attending the Howell Farmer's Market., Brighton Farmers' Market and the Dexter Farmers' Market. We will have all of our famous brittle with us. Granny's Confections celebrated our One Year Anniversary. We want to thank you all for taking this journey with us. Without you, we could not have accomplished what we have. If you are in the Michigan Area, stop by and say hi and some of our special events. We always love to put a name with a face. The Livingston Daily News called and wanted to do a story on us. Click the link below for the story. In May we were selected as a winner in PNC Banks sweepstakes. We get to fly to New York to meet Barbara Corcoran in October and have a one hour consultation with her. 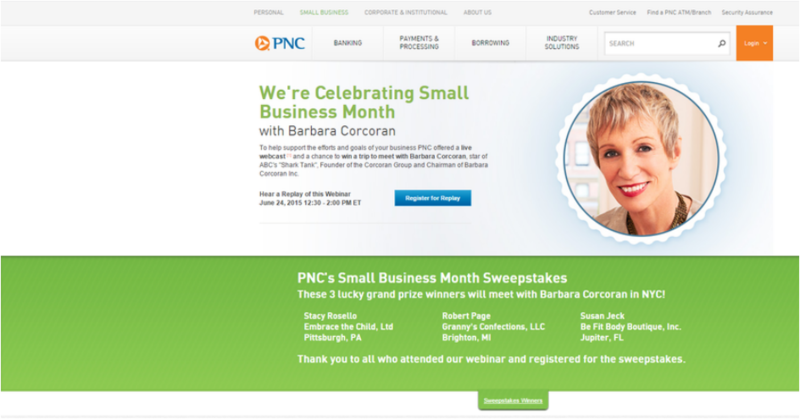 Thank you to PNC Bank and to Barbara for supporting small businesses.